N-IDECO is a spot-welded mesh made of galvanized low-carbon steel wire intended for the reinforcement of concrete weight-coated pipelines. 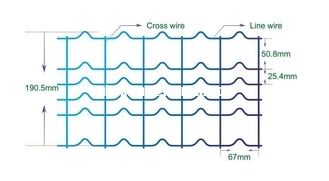 The mesh comprises 6 line wires which deeply crimped in the middle between the cross wires. 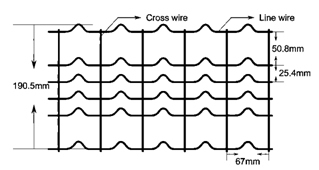 The mesh with at both sides 2 inches between the line wires instead of 1 inch is intended for coating with an overlap of 1 inch. Marine Pipe-Line Reinforced Mesh is a welded mesh normally used for the reinforcement on concrete weight coating of offshore oil and gas pipeline, popular in the world marine construction industry. 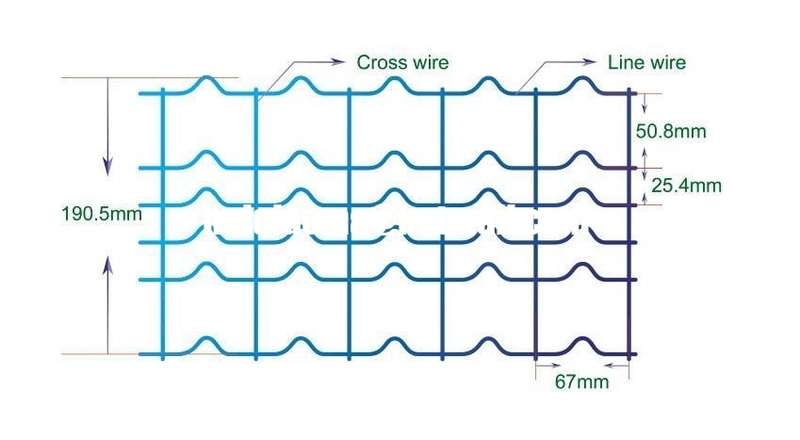 Marine pipe-line Reinforcement Mesh is applicable for the compression and impingement coating process.The line wires are deeply crimped to facilitate the concrete application. Material usually used is low carbon steel with zinc coating, can either be cold galvanized wire or hot dipped galvanized. Marine pipe-line Reinforcement Mesh is available in two variations either with the traditional 8 piece or 6 piece. In addition to the regular specifications, We still supply other specifications customized as per customers requirements.